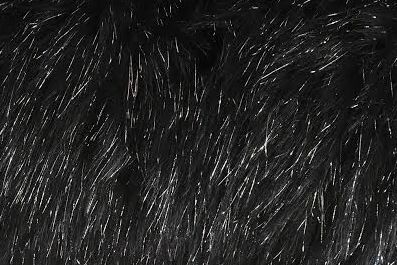 Fake fur with longer strings of glittery tinsel. The base fur is about 1 1/2" and quite soft. The black version has silver tinsel. The red version has red tinse. The tinsel is a bit longer than the pile of the fur.